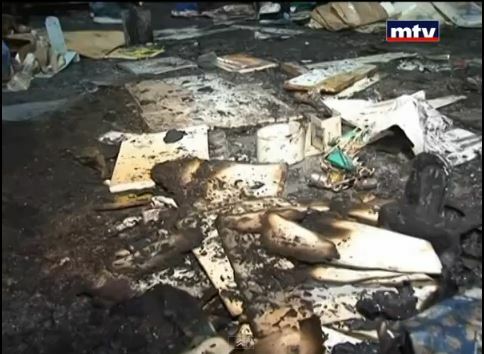 A huge library of books collected by a 72-year-old Greek Orthodox priest, but used by the whole community, was torched in Lebanon on Friday (January 3) after he was accused of insulting Islam. There have been different reports regarding the source of the accusations against Father Ibrahim Sarrouj, who has managed the Al-Saeh (Travellers’ or Pilgrims’) Library in Tripoli, near Lebanon’s northern border with Syria, since 1972. Lebanon’s Daily Star reports that a fatwa was issued against Fr. Sarrouj because of an article allegedly published by the priest on a Danish website in 2010. However, AFP reports that a pamphlet was discovered inside one of the library’s books, which was considered blasphemous, and that a “sectarian scuffle followed” which ended in the torching of the library. Other reports suggested the incident followed a dispute between Fr. Sarrouj and a businessman who wished to buy the property. Before the fire, the priest had met with Islamic leaders in Tripoli in an attempt to clear his name and a demonstration that had been planned in protest over the allegations had been called off, reported AFP. However, on Thursday one of his employees, Bashir Hazzouri, was injured after being shot. Following the burning of the library, a local official said Fr. Sarrouj had done nothing wrong. Tripoli’s MP Robert Fadel said that the police knew who was responsible for the attack and that they would be brought to justice. “The security agencies know the perpetrator and should arrest him… There will be no political cover for anyone,” he said. Meanwhile a local Salafist Sheikh, Salem al-Rafei, said the person responsible for issuing a fatwa against Fr. Sarrouj should be punished, but not the perpetrators themselves. “I call on [the police] to prosecute those who incited, ordered and issued a fatwa in favour of the attack rather than the fervent boys who carried out the attack,” he said. Dozens of locals joined in the clear-up at the library over the weekend, with local supporters launching a fund to rebuild the library “better than it was”. Around two-thirds of the library’s estimated 80,000 books are thought to have been damaged. AFP reported that civil defence teams had been deployed to put out the fire but that “there are fears that more books were damaged by the water used to try and put out the flames”. Another local, Nivine Afiouni, told L’Orient Le Jour that the library had been used by many students of the local University. Fr. Sarrouj told the Daily Star that he forgave the perpetrators and that the “greatest victory” was the support he had received from Christians and Muslims alike, and the harmony this had fostered.